"God has not given us the spirit of fear but of power of love and a sound mind." Mary was there the day Jesus was born, and she was there the day he was crucified. Her story is deep and rich and has myriad lessons for any woman - mothers, daughters, sister, friends. Mary's story reveals a woman's heart is important to the Father. This book will touch your heart if you are facing fear and uncertainty, wondering about leaving your plans behind, feeling a need for community and support of other women, or wanting to deepen your life of faith. Imagine what it must have been like to be Mary, walk in her shoes and learn from her. I found this book helpful, encouraging, and and open in addressing problems many women face. This quote stood out with me: "Fear surfaces when we recognize that life may not go as we planned." I am sure Mary's life did not go as she had planned it. In-spite of the change in plans she learned to trust God. The author Catherine Hickem is a licensed psychotherapist with three decades of experience. She is a relationship expert who has made it her life's mission to equip women for every facet of their lives. She is an author, speaker, coach, and counselor. 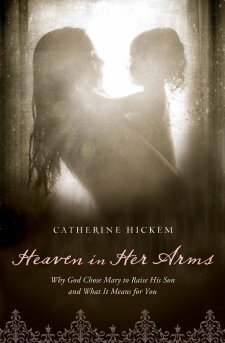 You can check out the author's website - Catherine Hickem. com - for help in various areas of life.